How will changes to the ICBC claim process affect you? Earlier this year, the BC Government passed a law placing a cap of $5,500 on pain and suffering awards for “minor injuries.” The cap would apply to claims arising from an accident on or after April 1, 2019. Currently, a person injured in an accident, and not at fault, has the opportunity to seek compensation from ICBC for pain and suffering in accordance with ranges that take into consideration the specific circumstances of an individual claim. With the assistance of legal counsel, an injured party has the option of negotiating a fair settlement or pursuing a claim to trial and having the BC Courts assess damages. The new laws essentially lump everyone considered to have a “minor injury” into one category of compensation for a one-size-fits-all approach to quantifying claims. They further limit the ability to challenge this determination by establishing a Civil Resolution Tribunal to confirm whether your claim is indeed minor in place of the judicial system. So what is a “minor injury”? On November 9th, 2018, the Government released updated Regulations that expand the scope of a minor injury to include concussions, in addition to chronic physical injuries, depression, post-traumatic stress disorder, and other psychiatric conditions. The inclusion of a concussion, which is essentially a brain injury, in a list of other questionably minor conditions that may substantially interfere with one’s enjoyment of life, let alone basic functioning, is troubling. There is wording in the regulations that would imply that the cap would not apply in cases of concussions lasting four months, or physical injuries lasting longer than 12 months. However, these conditions have to meet a threshold of being disabling enough to lead to a serious impairment. The question is to be decided by an ICBC adjuster or a Civil Resolution Tribunal, which carries its own rules and restrictions on how one may present their claim. If you have been injured in an accident, and you are not at fault, do not rely on ICBC to provide you with advice on whether your injury is minor. 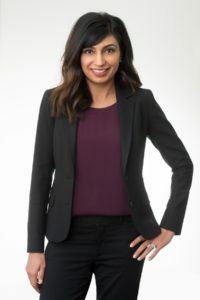 Contact Karen Powar in our Motor Vehicle Accident and Injury Claims law group for a free consultation.